“I don’t know, I just don’t want to go. Really, I don’t want to go.” he said, nodding his head. Peter’s brother, Clement, had just left the front door as Peter had imagined. By now the warped broomstick had coherently formed a spiral around his index finger. Peter imagined his brother walking by the building, jumping the waist-level demarcation beside the block and wandering off to wherever. He could as well have taken a different route. Peter only knew that he was going to miss out on whatever fun Clement proposed, but he didn’t quite know where it was Clement was going to. He knew he was meant to follow, but then he chose not to. Peter had always wanted to go far as well, but he always ended up staying indoors. He wanted it, but he always found himself sitting in. Clement was the kind of person to venture far, always the adventurer. Clement was agile, he was always the one bringing ideas about going out. Peter always felt bored indoors, it was cosy, but it told on him. To Peter, outside was a concept, a mental imagery, one he mentally fed on. He always preferred desiring to go out to actually going out. 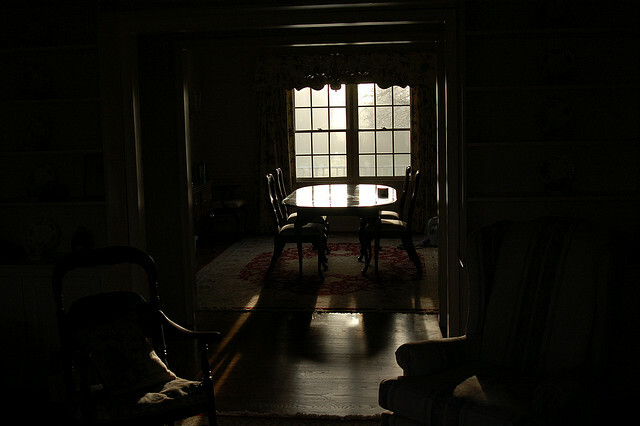 The curtains were closed, and the dark hue of the sitting room added more suspense to his thoughts. It smelled like home, it felt like home. Somehow he preferred this, basking in the cosiness of his indoor reality. From here he could imagine outside, the sun, the rain, the cars, the frontage, people. Sometimes he’d squeeze himself on the couch in this dim and subtle space of the sitting room, watching the opaque curtains and his ensuing realisations would warm his heart. He was home, he was safe. He never really understood why Clement always hungered for outside. What is it that he was always going to look for outside? Clement’s outings appeared full of hopeful fun, aflame with the ambience of possibilities, and it always filled Peter with a mild form of regret. Peter always felt abandoned, but for none other than his fault. Peter nestled himself on the dining chair. Clement could have been anywhere, anywhere he wished, but Peter knew well enough, Clement never left the front door.